Your fire alarm is there to alert you, your team and your customers about a fire in your building. It makes sense that this is serviced and maintained regularly so that you have the peace of mind to know that it is in working order. In accordance with current Irish legislation and Safety, Health & Welfare at Work Act 2007, all premises must have adequate fire protection equipment on site. This equipment must be serviced by a competent person on a regular basis. 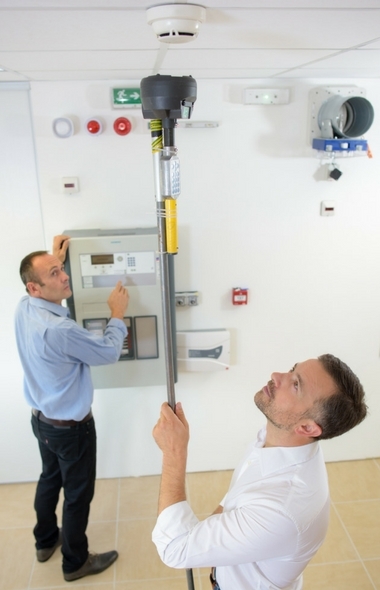 We carry out the servicing of fire alarms to the current Irish standard IS3218:2013. To see what this entails please read our information on the Irish standard here. Please call 029-71288 today to arrange your service or click below.